Thank you to all those who participated. This was our 7th year at this location and was listed as a reunion event. The turn out was nice since it was not really promoted and the weather was questionable. 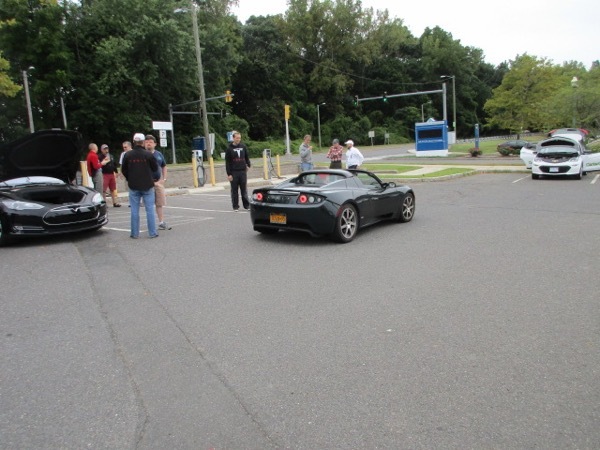 Electric Vehicles are getting easier to find for display purposes but, It is the fine owners willing to show their cars and share the experiences only an EV owner can provide that makes NDEW events great. We had a diverse group that were all remarkable in their own way however, one attendee really helped make it a memorable experience for everybody. He is truly one of the best EV ambassadors that I have ever met. His knowledge, generosity and commitment to the promotion of electric vehicles made this small reunion event one of the best events we ever had. I think the other attendees were impressed as well. We hold other larger events across the state and hope to see all the attendees again. 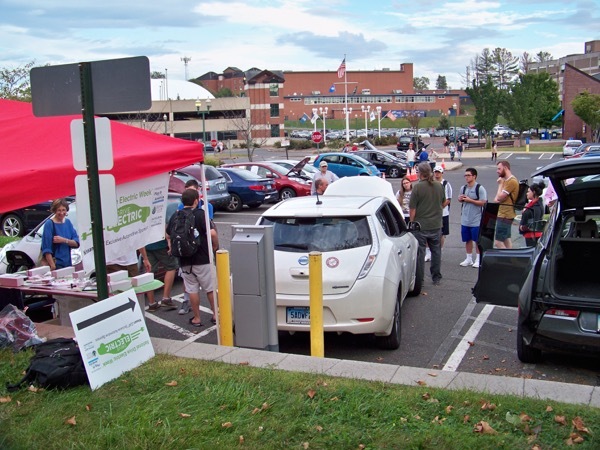 Come join us at the CCSU charging stations (parking lot behind Student Center) on Sunday, September 09, for our seventh gathering and reunion! We plan to meet from 1:00 - 3:00. 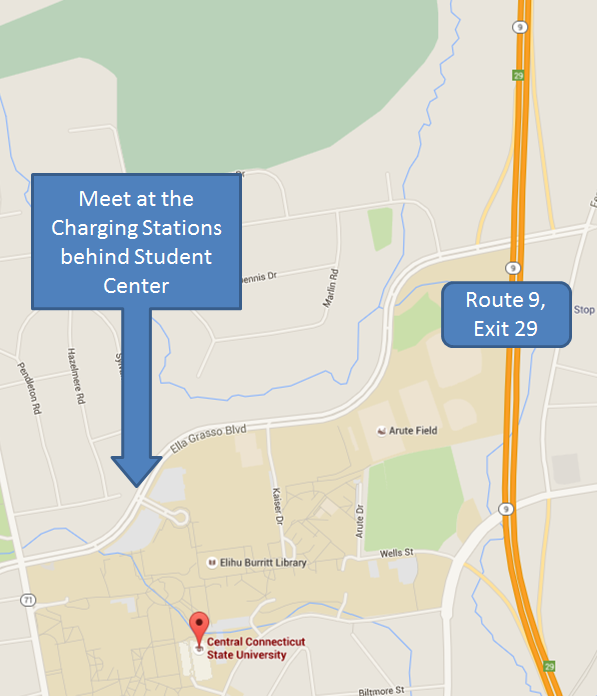 Directions to CCSU: On Route 9 North, take exit 29 and through the light at end of ramp. Drive approx. 1/4 mile and take 2nd traffic light left onto Ella Grasso Blvd. 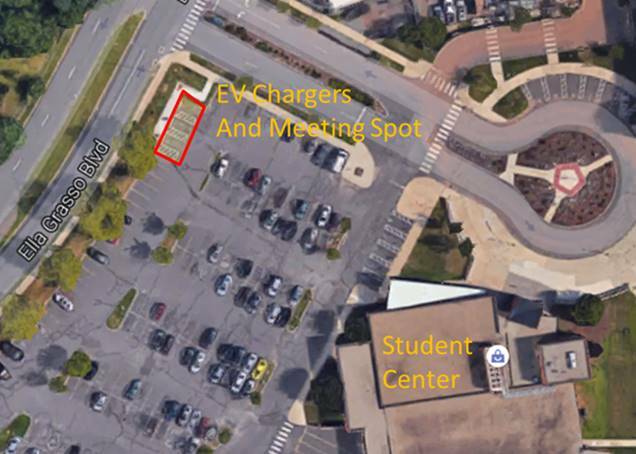 Continue to back entrance to Student Center and Charging Stations and follow signs. Registered attendees report 363,365 electric miles driven.